Sunday’s (5/16), New York Times ran a feature story on Nashville’s Time Jumpers and the band’s legendary Monday night shows at the Station Inn. Times writer Peter Applebome profiled the stellar players and packed houses that distinguish this weekly musical gathering, referring to the Station Inn as a “low-ceilinged dive” with a “lost-in-time quality.” He went on to describe the sublime sounds of the western-swinging Time Jumpers as “the quintessential Station Inn experience.” That sounds right to us. You can find the full article here. Talent competition the Colgate Country Showdown will be offering education and promotional assistance to new artists and songwriters. The Country Showdown website (www.colgatecountryshowdown.com) will expand to help new artists beyond the Showdown experience. New artists can log on and learn about how to promote themselves, market their music, and make industry contacts. In addition, the site will offer an opportunity for Showdown contestants to build their own page and submit MP3 recordings of their music. County music fans will be able to listen to undiscovered country music which is not available anywhere else. In addition, Colgate is offering a sweepstakes to win an all expense paid trip for four to Nashville to attend the televised National Final hosted by LeAnn Rimes in January, 2010 at the Ryman Auditorium. Kenny Chesney played a free show last night (5/16) at Pizza Hut Park in Dallas that drew about 25,000 people. The concert came in the wake of a rain-shortened May 2 performance, though Chesney was not contractually obligated to come back and play Dallas. The considerable production tab for the three-hour-plus show was “on Kenny’s dime,” says promoter Louis Messina, president of TMG/AEG Live. “In my whole career no other artist has ever done that,” he told Billboard.biz. Columbia duo Montgomery Gentry are joining with Cracker Barrel Old Country Store® and the Wounded Warrior Project on the release of For Our Heroes. 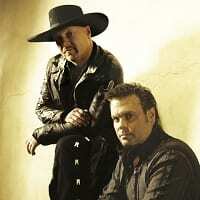 The 12-song CD features Montgomery Gentry hits like “Something To Be Proud Of,” and “My Town,” and also includes an exclusive new song, “One Of Those Days,” as well as four songs that have received only limited release previously. The CD will be available only at Cracker Barrel starting May 25, and a portion of the proceeds will be donated to the Wounded Warrior Project, whose mission is to honor and empower wounded warriors. As part of this CD release, fans can sign up for the Cracker Barrel sweepstakes to win prizes including a trip for two to see Montgomery Gentry on Kenny Chesney‘s Sun City Carnival Tour in Indianapolis, IN on September 19th. The sweepstakes also features three First Prizes of Copley guitars autographed by Montgomery Gentry. Find out more about the Wounded Warrior Project here. Industry veteran Brinson Strickland has joined new record label, Golden Music Nashville as President and C.E.O. The label will open offices at 54 Music East, Suite 390. Strickland, President and C.E.O. of Golden Music Nashville, is known for his work with 262 Five’s Netflix campaigns and his managerial involvement with Bryan White, Josh Turner, Brad Paisley, and most recently as a manager with Doc McGhee and McGhee Entertainment. Joining Strickland will be veteran promoter Brad Howell as VP of Promotion and Marketing. Howell spent many years at Warner Bros. Records and most recently worked with Broken Bow Records. Noel Golden will continue to serve as managing member of the label. 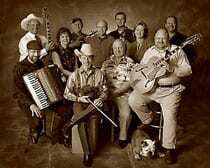 The flagship act on Golden Music Nashville is country band Williams Riley. The band is currently having success with “I’m Still Me,” now being worked at radio. Strickland can be reached at Brinson@GoldenMusic.biz or at 615-891-4283.